The action of the second episode shifted to the ocean floor. 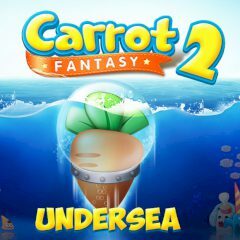 Princess Carrot is in danger again – she looks so tasty, and the animals want to eat her again. This time your enemies will be underwater animals and fishes. Build towers and defend the Princess!